As part of Facebook's AI for Social Good Initiative, WSquare partners with Facebook to present India’s First Women-Led Hackathon in AI along with ThoughtWorks, to support women with career opportunities and mentorship in artificial intelligence. Our goal is to educate and empower women to become more involved and upskill themselves in emerging technology – so if you are aspiring to be programmer or data scientists, we are searching for you. 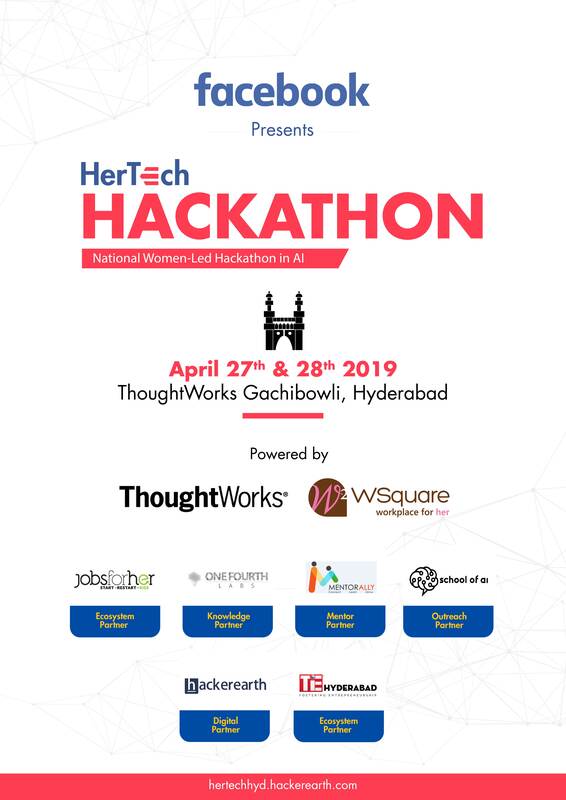 Our Hyderabad Hackathon in AI is focused on Healthcare for Women - Access to Maternal Care and Awareness on Menstruation to be held on April 27th and April 28th at ThoughtWorks, Gachibowli. Register Today!